The former St Andrew's Presbyterian Manse, at 53 Coleraine Road, Balmoral 0.6kms east of the town centre, was built between 1861 and 1864 to house the Rev. James Treadwell, the first minister of the Balmoral/Harrow Presbyterian Charge, and his family. The congregation raised money and local notables, including the Officer family and other staunch Presbyterians, organised for a design by the important Hamilton architect and engineer, John Shanks. Jenkins. He designed many important buildings in the area, including the Officers' homestead, Mount Talbot and went on to have a distinguished career in Melbourne including the design of the Princes Bridge. After typical complications and changes to the design and budget, the contractor was Messrs. Adam White and Co. of Portland who built the house for about 710 pounds. Importantly, much of the correspondence concerning the design and construction survives. The house was built from local materials including a stone that is stained dark brown by iron. While substantial, it is conventional in its form and plan and modest in its detailing. From 1864, the second incumbent, Rev. James Henderson lived in the house with his family. He served the congregation for 42 years and is buried with his wife, the daughter of Rev. Adam Turnbull M.D., in the Balmoral cemetery. The ministers were required to serve a vast area. They changed regularly until the long incumbency of Rev. J H Bates from 1930 until 1965. The house remains substantially intact and is in excellent condition. 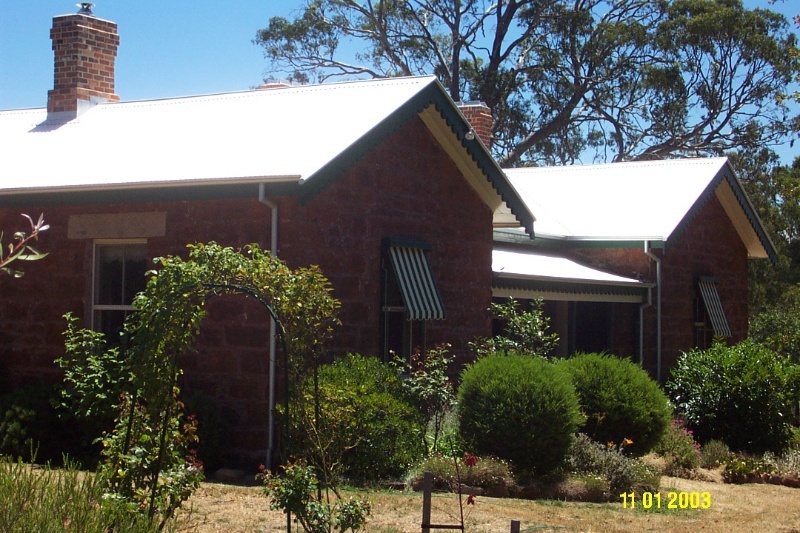 The former Presbyterian manse is of historical, social and architectural, significance to the township of Balmoral and the Southern Grampians Shire. The former St Andrew's Presbyterian Manse is of historical significance for its local connections with important individuals and the Presbyterian community generally, and for its first and second incumbents. As a substantial and comfortable residence, it is of social significance as a model of stable religious and family life in rural conditions. It also reflects the social status and financial success of the Presbyterians of the area. It is of architectural significance not only as the work of John Shanks Jenkins and as a typical example of domestic arrangements for clerics, but also as the building represented in the rare surviving correspondence between client and architect. The former manse is located on the north side of the Coleraine Road on high ground about 0.6km from the centre of the town on what were described as 'suburban allotments' in the plan of subdivision. 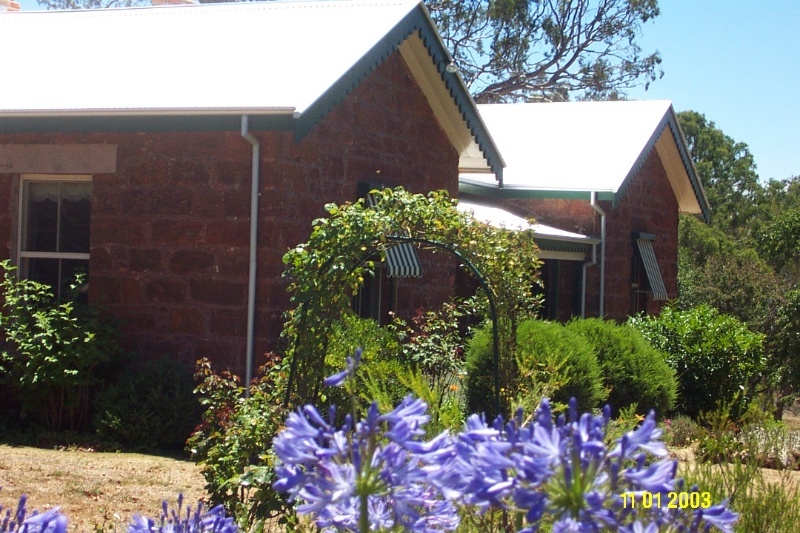 It is a single storey symmetrical stone house with an unusual plan having rooms projecting on either side of a central timber verandah. The walls are constructed of local sandstone stained a dark red from iron deposits. The windows are 4-pane double hung timber sashes. The roof has a relatively low pitch, is gabled over the projecting rooms and is covered with corrugated iron. The fascia boards of the gables are now trimmed with a simple scalloped edge. A new chimney has been introduced in the front room on the western side. high degree of integrity externally but has been altered and modernised internally.